Mending Babyloss is a Whatcom County, WA group of women – a social worker, a spiritual guidance counselor, and an interfaith minister. We are passionate about serving families who have lost a baby. Founded in 2009, we offer a support group, a lending library full of resources, and a Remembrance Walk. Marguerite is a Spiritual Guidance Facilitator in private practice in Bellingham. Her passion for family and empowering women has been her loving and guiding force. She and her husband are privileged to be parents of four grown children. Marguerite’s experience with baby loss is personal, as a mother and a grandmother. Losing her first grandchild at full term and witnessing the loss and grief in her daughter and partner were profound. She understands deeply the need for compassionate support. She feels honored to walk this unique journey with parents, who have lost a child. Her wish is to be able to offer them comfort and hope. Tracy is a Master’s level Social Worker with over 10 years of medical Social Work experience. She completed her Social Work residency with UC Davis Medical Center’s hospice and palliative care center. Tracy relocated to Bellingham 5 years ago with her husband and 3 children. Since 1990, Jillian has resided in Whatcom County where she offers counseling, mentoring and guidance to people of all ages, connecting and integrating the body, mind and spirit to create sustained transformation. Jillian facilitates ongoing classes and groups that utilize self inquiry and reflection, movement, expressive arts and dream exploration, while developing the capacity for clear and compassionate witnessing. Her work as a spiritual director further blossomed into a three year course of study culminating in ordination as an Interfaith Minister in 2012. Jillian recognizes that in times of major loss and transition, foundational spiritual questions emerge. 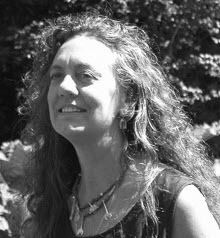 Her lifelong study of the wisdom offered in the world’s faith traditions, various spiritual practices and scientific investigation of unitive consciousness, collectively inspire her, in the words of Einstein, to be able “to stand in awe at the mystery of life.” Jillian has volunteered and consulted with a variety of educational and social service agencies. 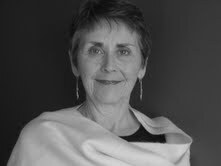 She served on the Steering Committee for the Whatcom End of Life Council and co-created The Institute for the Creative Expression of Loss, which offered grieving individuals and care givers opportunities to explore bereavement and honor grief through the use of expressive modalities, council process and nonviolent communication. These endeavors reflect her passion and call to guide and support individuals and families as they look for meaning, while integrating the presence of death and dying and awakening to transition and loss as an inspiration to live more fully. As a reflection of collective responsibility for compassionate action, Jillian is honored to collaborate with dedicated Mending Babyloss volunteers.